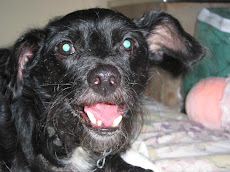 My dog says he just read the most awesome story about a church in Los Angeles that allows parishioners to bring their dogs to services with them! The Covenant Presbyterian Church encourages church goers to bring Fido to "Canines at Covenant" each Sunday at 5pm, along with his doggie bed, and water bowl. They even pass out treats to the pups! To learn more about these amazing dog-friendly services, click HERE. There's also another nice write-up HERE. 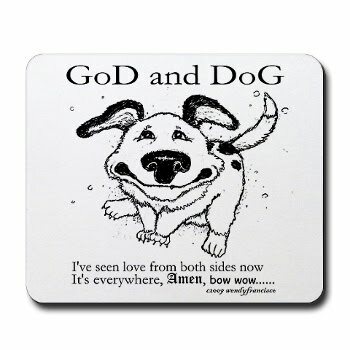 * And for those who never saw my earlier post with the wonderful video and song "God and Dog", click HERE. It's really quite wonderful. Almost makes me wish I were Presbyterian. Nice to see you around the ole' blog again! This is yet another reason us dogs are better than humans. We don't have religion to create divisions within our community. Dogs love everyone and don't care about the things that cause conflicts for their human parents. Puddy, you are a very wise dog. It's true, dogs don't need religion, they are very spiritual beings without it.